What Is Scanning ?? And Why We Focus On that ? PORT SCANNING : There are 64k ports in a computer out of which 1k are fixed for system or OS services. In Port scanning we scan for the open Ports which can be used to attack the victim computer. In Port scanning a series of messages sent to break into a computer to learn about the computer’s network services. Through this we will know that which port we will use to attack the victim..
Network Scanning : Network scanning is basically a procedure of finding the active hosts on the Network. This is done either for the purpose of attacking them or for network security assessment i.e how secured the network Is ?? ~ To detect the live systems running on the network. ~ To discover which ports are active/running. ~ To discover the operating system running on the target system (fingerprinting). ~ To discover the services running on the target system. ~ To discover the IP address of the target system. 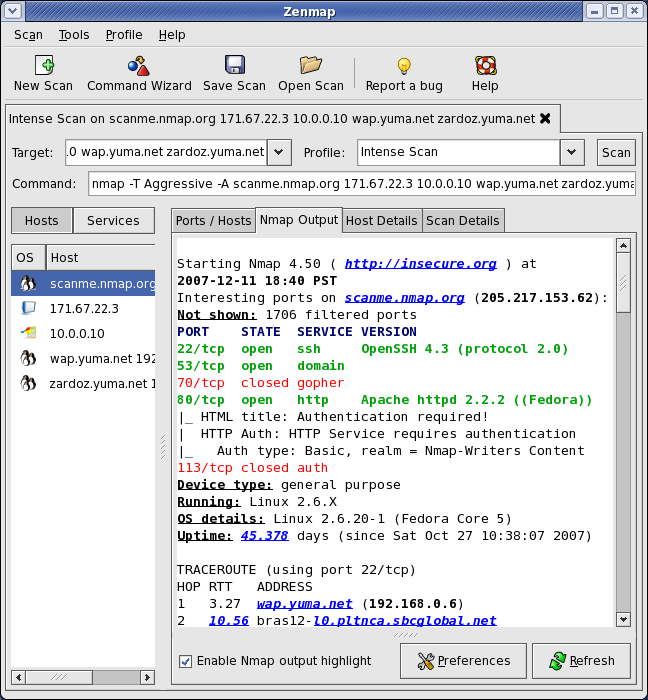 ~ Nmap is used to carry out port scanning, OS detection, version detection, ping sweep, and many other techniques. ~ It scans a large number of machines at one time. ~ It is supported by many operating systems. ~ It can carry out all types of port scanning techniques. ~ Net Tools Suite Pack is a collection of scanning tools. ~ This toolset contains tons of port scanners, flooders, web rippers, and mass e-mailers. Note: Some of these tools may not Work but some are too good. I thisnk that’s Enough for Today .We will discuss more on scanning tomorrow Until You try these tools.. ENJOY AND HAVE FUN ! IF YOU HAVE ANY QUERIES ASK ME IN FORM OF COMMENTS ! Excellent informative article.Good luck for your exams!! ooooo Good Luck for the exam!!!! Brother Today I am having my exam of Programming languages and anlysis …. am pity much busy in preparation..
Whats up Lokesh… no class.. yesterday???? waiting for the class…hmmm! !